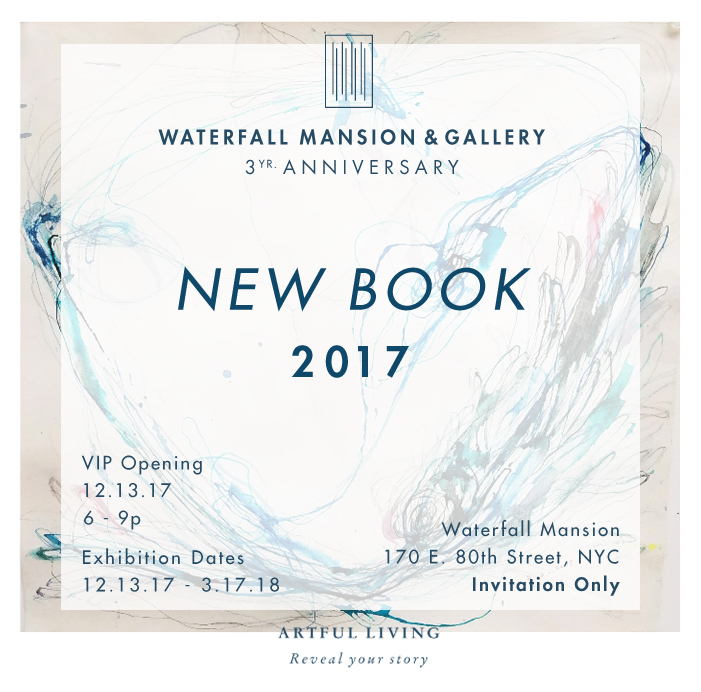 Waterfall Mansion & Gallery Is Proud To Present “NEW BOOK 2017,” A Commemoration Of Our Past Three Years And A Looking Forward To The New Story Being Created. We Invited Over 30 International Artists To Reveal The Deeper Story Behind Them And Their Work, And Present Their Work Framed Against The Physical And Historical Backdrop Of Waterfall Mansion & Gallery. Due to immense public demand and overbooking, Waterfall Mansion & Gallery is pleased to announce that our current exhibition, ‘New Book: 2017’ will be extended through Saturday, 3.31.18. This exhibition is a special three year anniversary show focusing on sharing the stories and processes of 30 international artists proudly represented by the Waterfall Mansion & Gallery. Please book your Premium Saturday Tour through the 'TOURS' tab on our website. We thank you for your enthusiasm and support and hope you will join us for this special exhibition.